When you have been driving for a long time, it is easy to slip into bad habits. This is especially true when you drive the same route to work and back over and again. You know these roads so well that you might not notice your speed creeping up and over the limit. 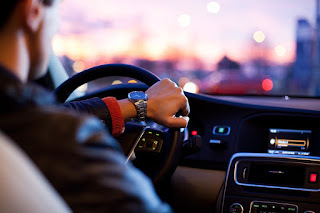 While nobody is a perfect driver, refreshing your mind on the speed limits, alcohol limits and other driving laws in your state could mean the difference between a daft mistake and ending up with a massive fine. It’s so easy to let your speed creep up as you drive and yet so many drivers end up getting speeding tickets for just that. Even just a mile or two over the limit and you could get hit with a fine. The best thing to do is get back into the habit of checking your speed regularly. Just a glance down at the dashboard is all it takes. Don’t allow yourself to be bullied into going faster by the car behind you, either. If they get really mad and you can’t take it any more, just pull over in a safe space and let them go rather than break the speed limit with them. Getting in trouble with the law is never a pleasant experience though you can get help. You might be ashamed of yourself, but that is no reason to allow unjust sanctions to be made. Seek the advice of speeding ticket lawyers to assist you in dealing with matters, especially if you feel that the fine is unfair or have mitigating circumstances to address. One drink and you feel fine, so getting behind the wheel is okay, isn’t it? Well, you might want to think again. Even when you feel fine and are confident that you are under the legal limit, you are still taking a risk by driving after a drink. It is always a better idea to either take public transport or a cab to and from your venue so that if one drink turns into multiple drinks, you aren’t risking anything at all. You might think that taking a cab is more expensive, but if you get into an accident and are found to have alcohol in your bloodstream, things could get ugly quickly. It really is cheaper to get a cab. It’s not just you who can let your driving down, you also need to check that your tire treads are legal and that all your lights are working. Laws regarding the use of headlights vary from state to state and some require that they are on when your windscreen wipers are on too. A basic rule that everyone can follow is to simply have them on all the time as they make you more visible and ensure that you can always see as far ahead as possible. Car safety is paramount to maintaining safe roads and minimising accidents. All you need to do is remember to take the most basic laws seriously.